When I set out to do a ribs recipefor a summer-grilling blog post this summer, I had a singular mission: Partner up with my chef-neighbor and get him to share a pitmaster-worthy recipe for some awesome barbecue ribs. So, I called him. He said sure, let’s do it. I said great, what time. He said noon. Because while I’m all about putting in some time for good food, I hadn’t envisioned an all day affair. I know it would have been worth it. Slow cooking ribs on a smoker for five hours produces some darn good ribs. But… hanging out over a hot grill for hours in 90 degree heat wasn’t exactly my idea of a relaxing weekend. 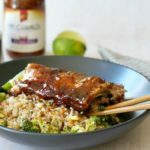 Needless to say, I did a little research and a lotta recipe testing, to come up with a super easy method for grilled baby back ribs. It may not be the Champion Pitmaster recipe I had envisioned when starting out. But these ribs are good. Really good. And you can make then any ol’ time. 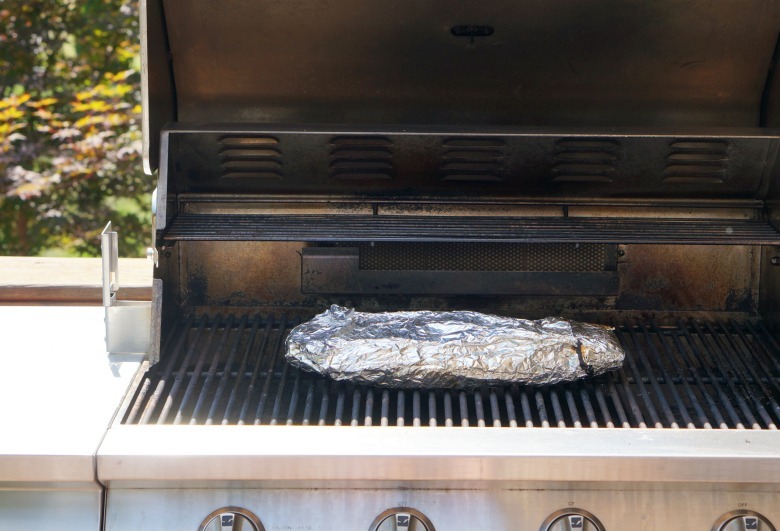 Who inspires you to get grilling? 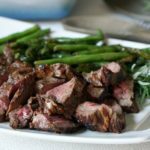 Visit the Hero of the Grill Contest and Sweepstakes at SmithfieldGetGrilling.com where you can share and nominate who inspired you to get grilling for a chance for your hero to win $5,000! Not to mention, you can enjoy great grilling content and enter for a chance to win prizes EVERY DAY! 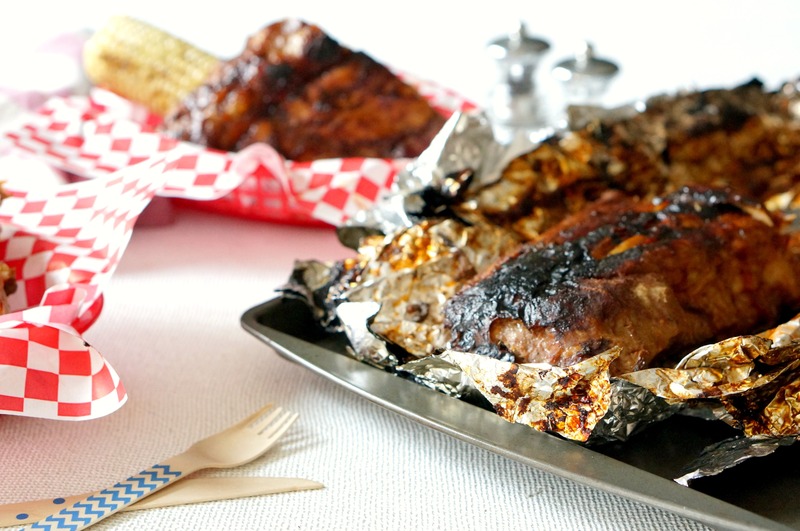 How does one do grilled baby back ribs the easy way? Y’all. It really is so simple. You need just a few ingredients. 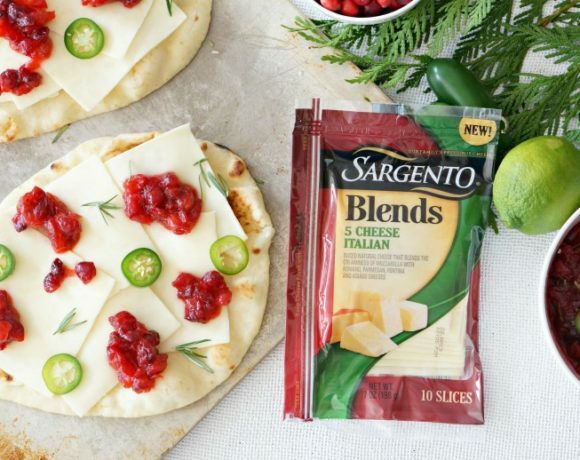 Good ingredients, and a little bit of time. Because although I was able to trim several hours off of the cooking time, ribs still require some grill-love. 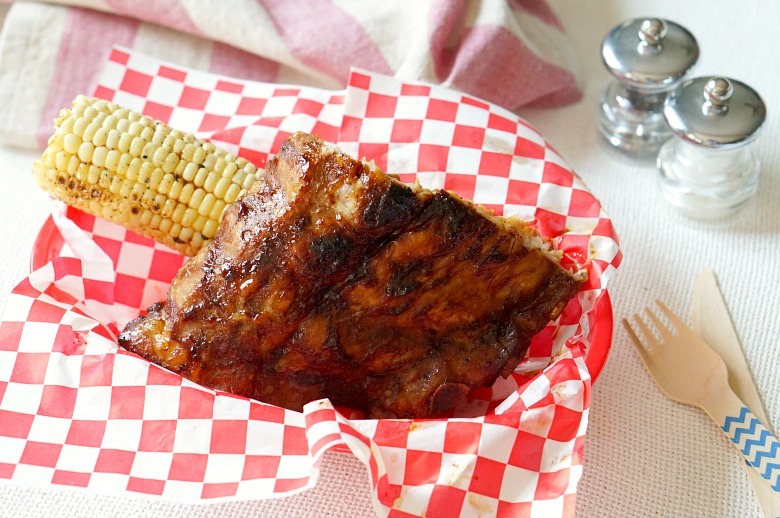 Don’t fret – you can totally fold laundry, have a cold one, or both while the ribs are hanging out on the grill. When I’m cooking with pork, I use Smithfield®. Turns out I’m not alone. 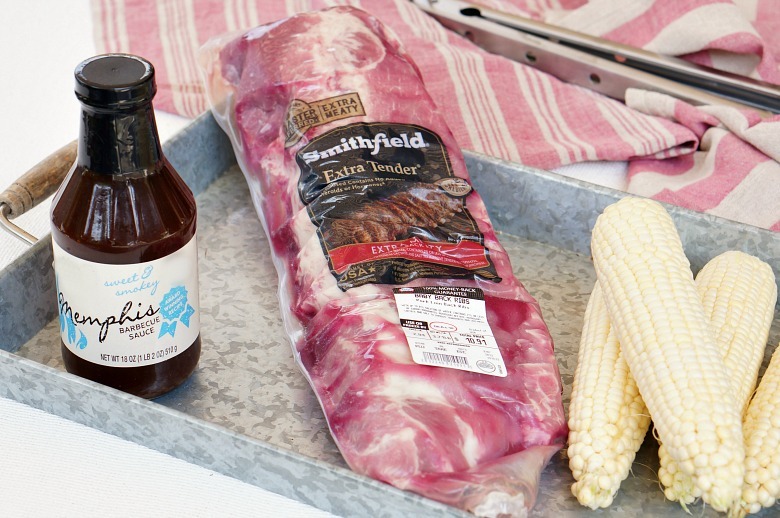 Championship Pitmasters use Smithfield Fresh Pork in their competitions and on their backyard grill, too: because they know that the quality of the meat matters most. 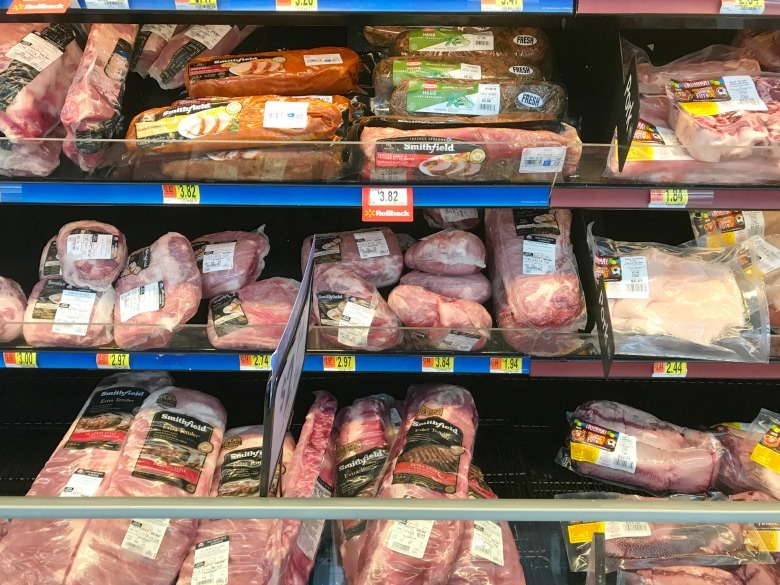 But it’s not just for pitmasters, Smithfield Fresh Pork is perfect any night on the grill, whether a great weeknight meal or getting together to barbecue with family and friends. Remove Smithfield Extra Tender Pork Back Ribs from packaging and place them in the center of a long piece of aluminum foil. 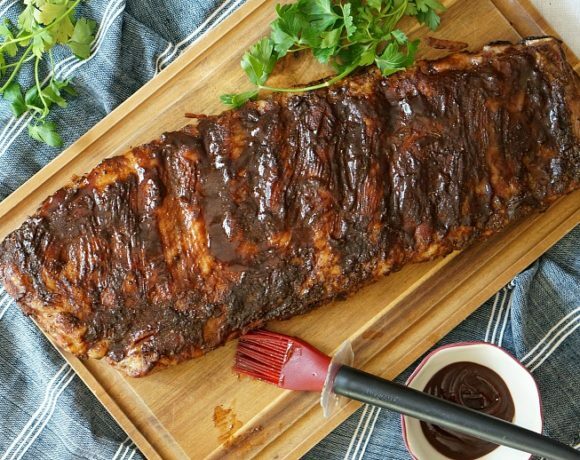 Pour 1 1/2 cups of barbecue sauce over top, then seal the ribs tightly in the foil, using several additional pieces, as needed. Preheat the grill to 500 degrees. Place the ribs on the grill and cook for 10 minutes. 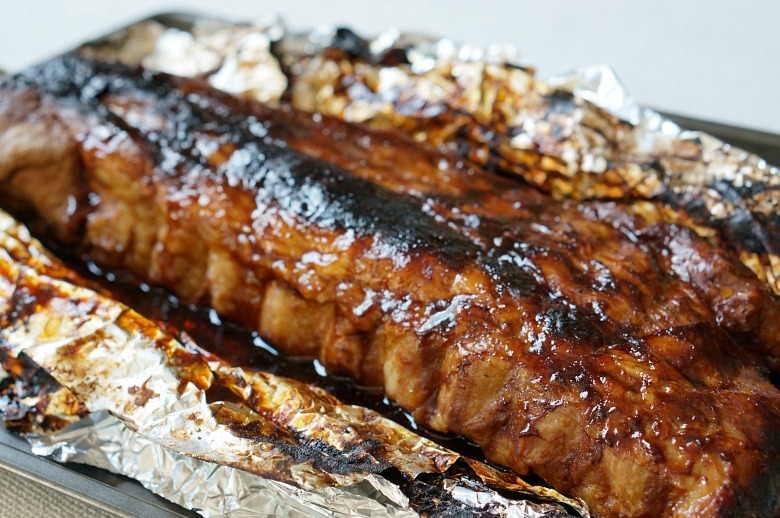 Carefully flip the ribs over, being careful to keep foil in tact. Cook for another 10 minutes, then reduce the heat to somewhere closer to 375-400 degrees. Continue cooking for another 1 hour and 15 minutes, flipping the ribs once or twice. At this point, remove the ribs and carefully open the package, being sure to let the steam escape away from you. Insert a meat thermometer to ensure the ribs are at least 145 degrees. Let ’em rest a bit, then serve with extra barbecue sauce, if desired. 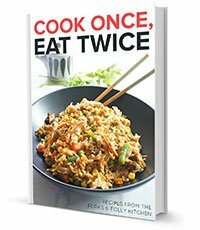 Need an easy recipe? For ribs? 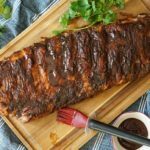 I've done the work for you to come up with the Easiest Grilled Baby Back Ribs - moist, tender, with less time! Preheat the grill to 500 degrees. Place the ribs on the grill and cook for 10 minutes. 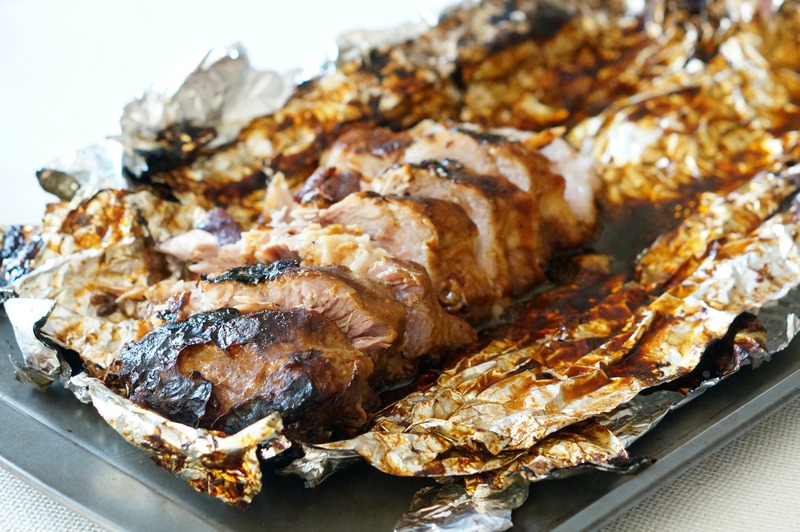 Carefully flip the ribs over, being care to keep foil in tact. Cook for another 10 minutes, then reduce the heat to somewhere closer to 375-400 degrees. Allow to rest before serving. Let 'em rest a bit, the serve with extra barbecue sauce, if desired. 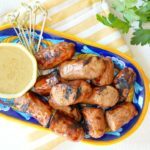 You can find all of the ingredients for this recipe, including Smithfield Fresh Pork at Walmart.